January weather getting you down? 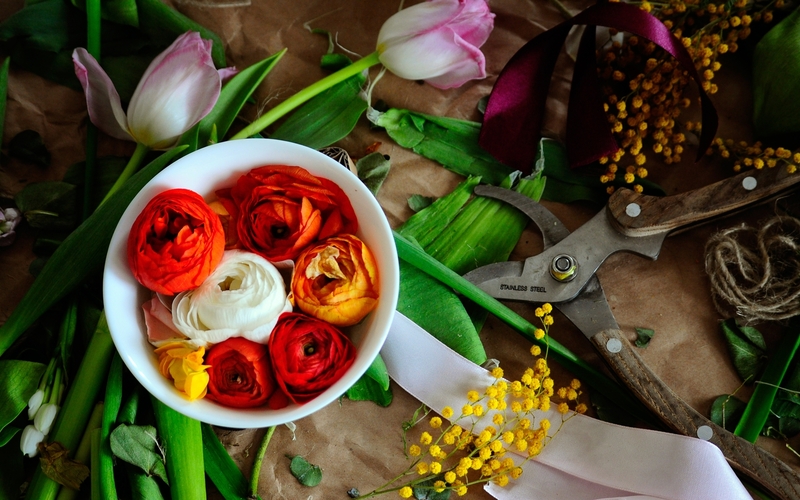 Bring a cheerful breath of Spring into your home with fresh cut flowers! 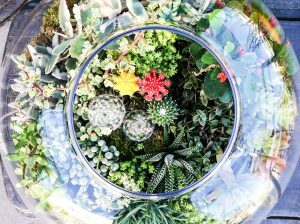 A colorful floral display or plant terrarium is the perfect accent piece, creating a vibrant focal point for your tabletop, desk, or counter. Add an unexpected pop of color to a living room corner. Brighten your kitchen with a hanging basket bouquet. Or indulge yourself with a vase full of tulips at your bedside. Special occasion coming up? Koreatown is blooming with custom floral design studios and specialty florists for a memorable impression. And don’t forget…Valentine’s Day is just around the corner! Hint hint. 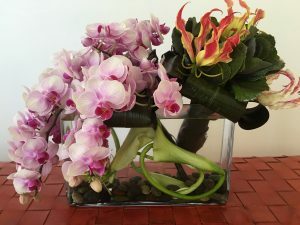 Established in 2011, Dewy Flowers specializes in terrarium plants, as well as fresh cut flowers. Known for their small cacti gardens and succulent arrangements, each display is meticulously handmade, using the best horticulture practices. The arrangements come in various sizes and shapes, with custom orders available. Guji Flower is an interesting, small shop offering custom floral designs and arrangements for all occasions, served with a personal touch. In addition to flowers, Gaju also presents an array of small cacti, succulents, and mini dried bouquets, ready to purchase. Owner Rita Azar is a proud third generation florist–both sets of her grandparents began as immigrants selling flowers in Los Angeles, and later Rita’s parents continued the tradition and passed it on to her and her siblings. 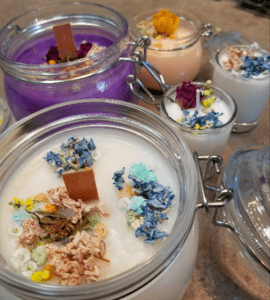 After many years at her landmark La Brea Avenue location, Rita Flora has moved to a beautiful studio in Hancock Park where each order is personally crafted and perfected. Call (323) 938-3900 for an appointment. Angie’s Flowers is a full-service, locally owned shop offering floral arrangements in a range of styles, along with gifts and plants. 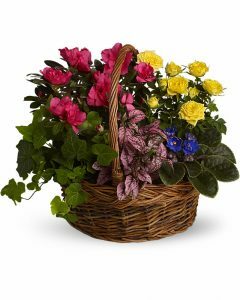 We love their Blooming Garden Basket–purple African violets, yellow rose plants, pink azaleas, hypoestes and ivy plants, all nestled in a round basket with handle. 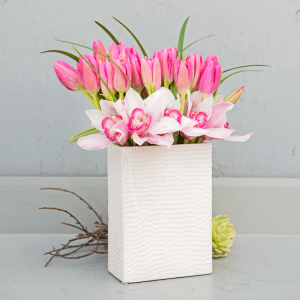 This sweet, bright flurry of colorful fresh plants is perfect to brighten your home or mark special moments with friends and loved ones. 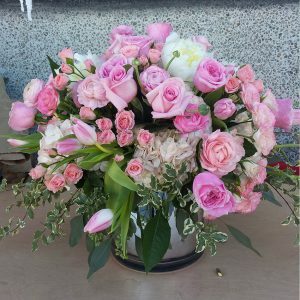 Eighth Street Florist is a small, family owned and operated florist in the heart of Koreatown, known for its elaborate and impressive arrangements. 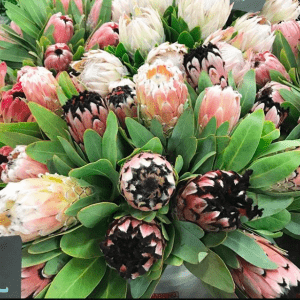 With over 25 years of floral design experience, they use only locally grown and fresh flowers, and carry rare, interesting, unusual and exotic blooms. All bouquets are one of a kind, arranged by their floral design team. Karen’s Garden is a local florist studio with a team of artisans offering floral designs for all of life’s celebrations. In addition to luscious arrangements, they also have a great selection of hand selected live plants. A clever complement to your home decor, house plants are easy to maintain and help purify the air.